Marc plans to become a professor of kinesiology after completing his doctoral degree at Illinois. 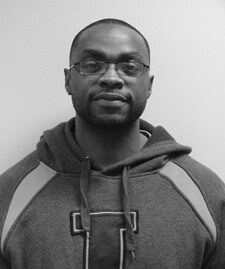 He completed two other degrees at the University of Illinois—a bachelor’s degree in biology and a master’s degree in kinesiology, with a focus on exercise physiology and immunology. Working with Drs. Jeff Woods and Bo Fernhall, Marc is investigating how exercise affects inflammatory bowel disease and colitis associated with colon cancer. After completing his master’s degree, he joined the Department of Pediatric Surgery at Rainbow Babies and Children’s Hospital in Cleveland as a research assistant. Marc also worked as a clinical research exercise specialist at Cleveland Clinic’s Lerner Research Institute, where he supervised all aspects of exercise testing and training for research subjects enrolled in studies funded by the National Institutes of Health. In addition, he was an adjunct faculty member at Cuyahoga Community College. Marc has published several co-authored papers in such peer-reviewed journals as Journal of Pediatric Surgery and Journal of Applied Physiology. In 2007, he received Clinical Exercise Specialist Certification from the American College of Sports Medicine.